Today was the first day Dori has been back to work in over a month for various reasons, but mostly my procrastination. 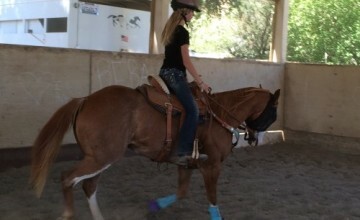 The last time I worked and rode her, we hit a (metaphorical) brick wall and she fell with me. So I have spent the last month or so focusing on my good horse, finishing out the race season and trying to dig deep into my training toolbox to figure out how to fix and get over our brick wall. I have worked for a few horse trainers and followed some of the most famous ones while trying to figure out which direction I wanted to go with my training career. In the process of developing my own style and techniques, I have incorporated several tricks, tips, styles, techniques and methods into my own. One thing I have learned over the years is that wet saddle blankets is what makes a solid, broke horse that is a pleasure to ride. 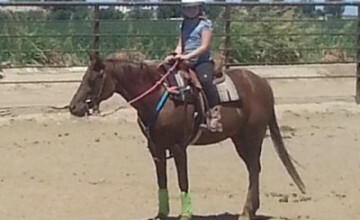 I purchased Dori as a two year old in 2012 with the intentions of riding, training and hauling her in 2013. Due to unforeseen circumstances including injury, she sat most of 2013 with a little riding and not much hauling. At the start of 2014, I was going to buckle down and start riding her again so that I could haul her through the summer and then futurity her this winter, but again she has ended up on the back burner. After ACBRA finals, Rocket was pretty sore from running 2 days back-to-back (which we don't do very often) and just feeling off. He is 22 and we have been running hard for the last 3 years without really showing me that he was hurting that bad. I made an appointment with the vet for a lameness exam to see if we could figure out what was going on. 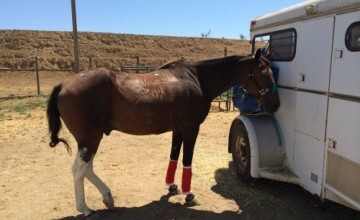 The doctor figured out that Rocket was really sore in his back and his hind end. About a year and half ago I got a call to move a horse to a new barn. 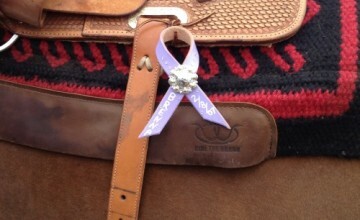 The call came from Dolly, who I had met while working for a local horse trainer. 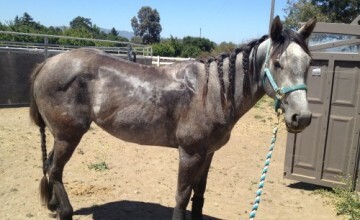 She was looking to move her horse closer to home and was also looking for lessons. I agreed to move her horse and help her get back to riding. And that is when the lesson program of SL Barrel Horses was born. A few months ago I got a message on my Facebook page form a mom who was looking for help for her daughter and their horse. A week before her daughter, Kaitlyn, had been bucked off her horse, Dolly, and the horse had almost severed her own tongue. 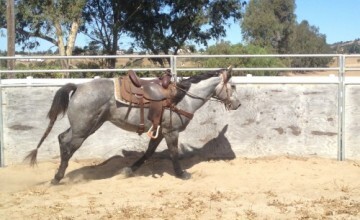 I was asked to come out to the barn and see if I could help get Kaitlyn back on Dolly. 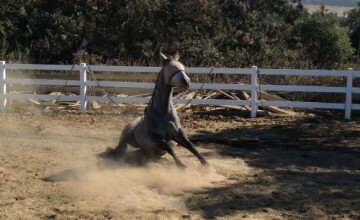 I wanted to introduce you to my good barrel horse Rocket. We have been together since 2006 and have had many ups and downs over the last 8 years. When I purchased Rocket he was the horse of a young girl that had blown his mind. He couldn't see a barrel pattern without breaking into a terrible sweat and jigging around the arena. 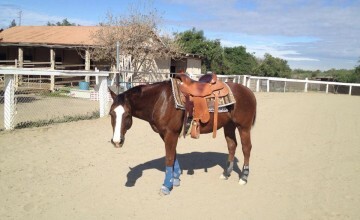 The first time I saddled him after I bought him it took me quite awhile to get him cinched up, bridled and mounted. He jigged around the entire arena without actually going through the gate and had no "whoa". Dreaming of 3 is an organization that is close to my heart. It was started by an amazing lady named Jackie; she wanted to pay tribute to her father and stepfather who both passed away from cancer and heart disease. As a team member of DO3, I have committed to donating 10% of all my barrel racing winnings to The American Cancer Society in honor of my best friend. 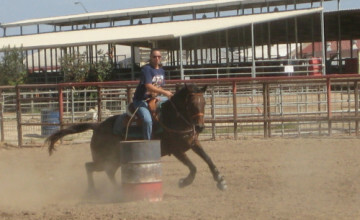 I am not the only one with SL Barrel Horses that is chasing their dream. I have two beautiful ladies I have been helping off and on over the last couple of years.